Typhoid Fever: X-Men #1 review: X-treme melodrama – AiPT! There are some interesting moments where the story gets a little meta and plays with Mary’s delusions of cinematic grandeur. Typhoid Fever: Spider-Man had some clunky dialogue but it overcame those problems with a really trippy, psychological examination of not only Typhoid Mary but also Spider-Man, who was manipulated to serve her. 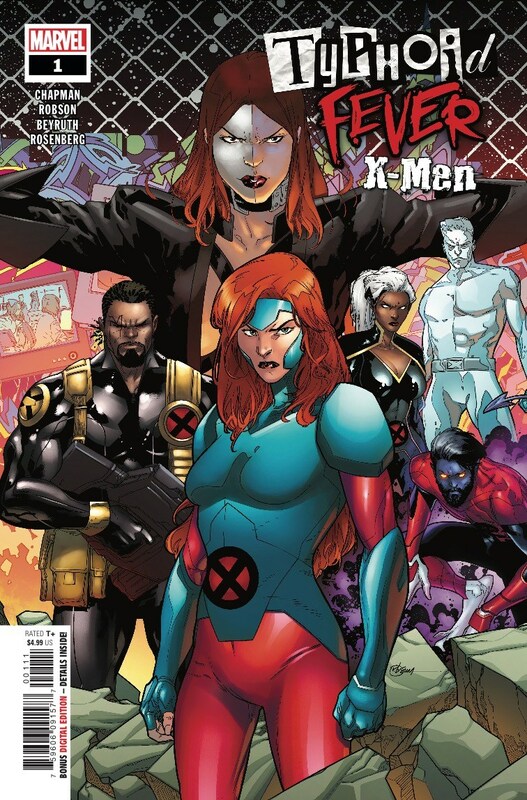 This time, she faces off against the X-Men–well, some of them (Jean Grey, Iceman, Storm, Nightcrawler, and Bishop). Similar to the previous issue, there are some interesting moments where the story gets a little meta and plays with Mary’s delusions of cinematic grandeur. However, the dialogue is even more problematic in X-Men and most of the art lacks a real dynamism. X-Men excels at moments like when Typhoid Mary mentally skews the X-Men to think they’re in a soap opera, which is a clever, if obvious, jab at the team’s melodramatic history. But the scenes before and after are generic punch-ups, with Jean Grey giving a running exposition the whole way. “Crossing through her telekinetic barrier forced us into some sort of mass delusion. It felt like we were all on an episode of Lovers and Strangers.” Unnecessary to say the least. The X-Men are passable here as a team, but they don’t stick out much as individuals. Thinking they’re in a melodrama started to enhance their personalities as they clashed. However, the rest of the issue doesn’t have that spark. I much preferred Danilo S. Beyruth’s art to Will Robson’s. Robson’s art is perfectly fine, however, there’s a lack of dynamism. I don’t believe the buildings he draws in the back are actually in NYC and not just props. To be fair, Robson has a great grasp on character expressions, which he uses to give Mary a range of maniacal gestures. On the other hand, Danilo S. Beyruth has more expression and fluidity with his work, making him a perfect choice for the soap opera and final pages. Certain panels look downright retro, with characters looking off into the distance, their hands on their head, bemoaning how their hubby doesn’t love them anymore. Tonally, McLeod switches between amusing meta flourishes to harrowing stakes. You don’t even realize the tone is switching until it has, and by then you’re already going along with the ride. Typhoid Mary deserves to take center stage with McLeod’s character work, so it’s a shame that this issue lacks the cohesion and tightness of the previous issue.